The United States of America have been sharing both good and bad days for the past 2 centuries. There are some outstanding days that have shocked the nation and still fear those days. According to the dates arranged, WheeBuzz brings you a list of the scariest days in America. In the year 1814, England had defended themselves from being invaded by France under Napoleon Bonaparte for three years since the war of 1812. England then had focused all their military power in capturing some undefended parts of America. The British had beaten the Americans in the Battle of Bladensburg on August 24, 1814. 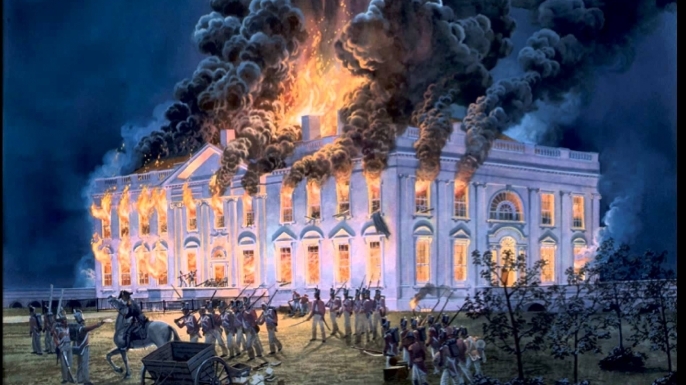 They attacked Washington D.C and set fire to many government buildings like the White House. James Madison, The president along with his administrators ran from the city to Brookville- Maryland which is now known as “United States Capital for a Day”. This eventually, led to what is known as the “Second War of Independence”. The Americans always depended on Abraham Lincoln, The president for maintaining peace, cure the wounds and bring a hold on the nation even after 5 years of the Civil war. 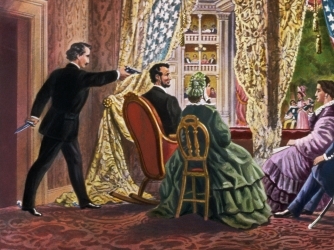 President Lincoln was assassinated on 14 April 1865 by John Wilkes Booth, an embittered Confederate sympathizer. The peaceful restoration of America had all come to an end by a single pistol shot. The Americans were scared that the civil war could repeat again because the Northerners kept blaming the southerners and the fear of the revival of legalized slavery. In 1918 at the near end of world war 1, Prosperity flourished excellently in the United States. The 20’s were considered the “Roaring 20’s” because of there was an extreme growth in the economy. As Americans grew wealthier, it led to many bad investments that led to financial disaster. 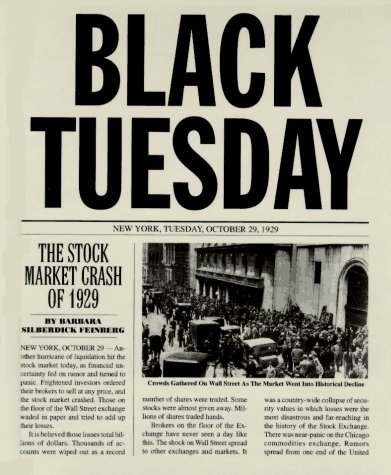 Black Tuesday was a day when the stock prices crashed unexpectedly; investments were inflated and plummeted throughout the board on 29 October 1929. Every American from Wall Street to the main street was desperately trying to sell stocks they owned but there were no buyers. Banks all over the nation had closed whatever investments were made and took many businesses and family savings. Black Tuesday was the day that made millions of Americans who well off stood at bread lines and unemployment lines. The incident ultimately led to the great depression in 1929. America thought it would have a safe Christmas because they followed an isolationist policy which would not involve their nation in participating in the war around Asia and Europe. Their belief was shattered on December 7, 1941. The next day on the morning was called a “date that will live in infamy” by Franklin D. Roosevelt as a surprise bomb attack was launched by the Japanese forces on Pacific fleet of the U.S navy’s in Pearl Harbor, Hawaii. 57 civilians and 2,345 U.S personnel were killed and35 civilians and 1,247 personnel were wounded. 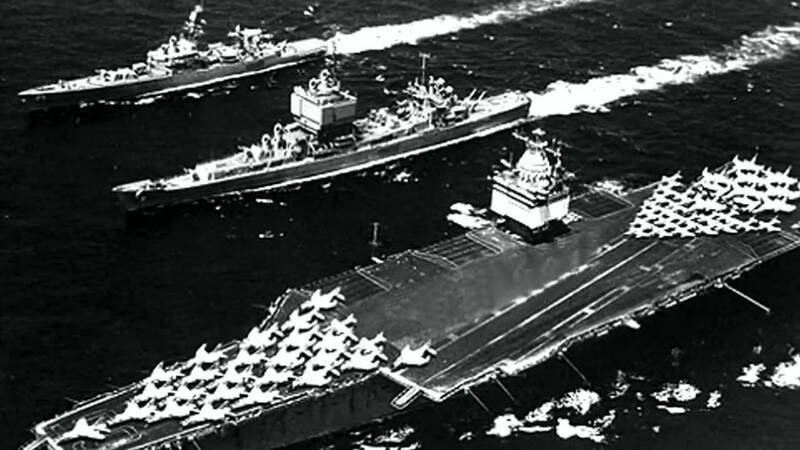 The U.S Pacific fleet along with four battleships and two destroyers had all sank along with 188 aircraft. The scary part was that the attack left the US open to a Japanese invasion. The fear of Cold war came out to be extremely scary when President John F. Kennedy had announced on October 22, 1962, on television that nuclear missiles were placed in Cuba an approx. of 90 miles away from Florida’s coast by the Soviet Union. It was a known fact that the missiles had the possibility of hitting any continental state of America. Kennedy had declared that if the Soviet Union launched any nuclear missile from Cuba, it would be a call to war “requiring a full retaliatory response upon the Soviet Union.” American school kids were trained to hide under the desks in schools and were warned by President Kennedy to not look at the light. Atomic Diplomacy was undertaken by the president’s closest advisers, which was the most dangerous game in history. 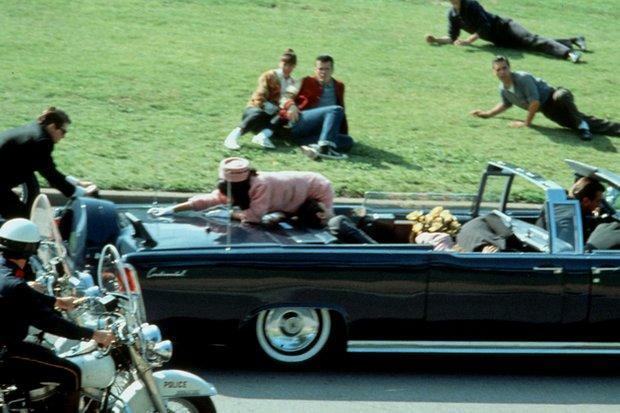 President John F. Kennedy after resolving the Cuban missiles crisis was assassinated in 13 months when he went for a ride in a motorcade in downtown Dallas, Texas. The young president’s death had shocked everyone in America and around the world. It became scarier when reports were made that Vice President Lyndon Johnson traveling in the same motorcade was also assassinated. Kennedy’s assassination scared people into thinking an attack was imminent because of the ensuing cold war. It struck the same amount of fear comparing to the Pearl Harbor attack and 9/11 attack. Dr. Martin Luther King Jr. was famous for his tactics and powerful words such as Sit-ins, Boycotts, and protests for helping the American Civil rights movement succeed. But on 4th April 1968, he was assassinated by a sniper in Memphis, Tennessee. Dr. King was delivering his last sermon on the evening he was about to killed. The Civil Rights movement had transformed into a bloody movement along with riots and beating while being jailing and murdering of civil right workers. The Assassin James Earl Ray got arrested in London, England Airport on 8th June. Ray had said that he was trying to reach Rhodesia, now known as Zimbabwe. But at that time the country was under an Oppressive South African Apartheid who controlled the number of whites in the government. King’s death had led to a great production of anger and grief which was used for fighting segregation and helped in passing the legislation of civil rights including the act of fair housing in 1968, which was made part of the Great Society mission of President Lyndon B. Johnson. Terrorism was considered a problem only in the Middle East as it was two wide oceans away and a strong military to protect the United States before this incident. The Radical Islamic group named Al-Qaeda had hijacked 4 airliners which were used for carrying suicide terrorist for attacking the United States on September 11, 2001. Two planes were used for crashing into the World Trade Center in New York City, one plane was used for crashing into the Pentagon near Washington D.C and the last one had crashed in Pittsburgh on a field. 3000 people were killed by 19 terrorists while injuring 6000 people and including property damage worth $10 billion. This infamous day chilled many Americans especially because of the modern era of technology where hundreds watched the disaster unfolding on TV screens making it more chilling an experience. 9/11 by far is one of the scariest and tear-jerking days in the lives of Americans where more than 3000 lost their lives on that ill-fated day. America extracted vengeance by finally hunting down Osama Bin Laden and assassinating him in Pakistan.